Albin Counter-Gambit - Chess Gambits- Harking back to the 19th century! The Albin Counter-Gambit is an aggressive response to the Queen's Gambit (1.d4 d5 2.c4). The main rationale behind it is that by playing c2-c4, White has weakened the b4 and d4-squares. Black plays 2...e5, offering the e-pawn as a gambit, with the idea that if 3.dxe5, Black causes White some inconvenience by pushing forward with 3...d4, and also threatening ...Bb4+ in some variations. Black has two main approaches in the accepted lines of the Albin Counter-Gambit. Black can follow up with ...Ng8-e7, with ideas of ...Ng6 rounding up the e5-pawn, or ...Nf5, helping to support the pawn on d4. Alternatively, Black can develop rapidly with either ...Be6, ...Bf5 or ...Bg4, followed by ...Qd7 or ...Qe7 and then ...0-0-0, often envisaging a direct attack on the white king. The Albin is probably best described as being at the margins of soundness, more respectable than it was generally considered to be during the 1990s (thanks mainly to frequent use by Alexander Morozevich). Black gets good practical chances but may concede a greater than usual theoretical disadvantage in some of the most critical lines. White's most critical response is to accept the gambit with 3.dxe5 d4 4.Nf3 Nc6 and then follow up with a2-a3 and/or Nb1-d2, with the aim of rounding up the pawn on d4. Black can get counterplay and practical chances but generally falls a fair way short of theoretical equality. White has various alternative plans as well, mostly involving a3 and e3 and/or g3. The plans with a2-a3 followed by e2-e3 intend to undermine Black's d4-pawn and bring about a queen exchange on the d-file, but this gives Black reasonable compensation for a pawn because White spends a lot of time moving pawns rather than developing pieces. The old main line runs 5.g3, which is probably good enough for a slight edge, but gives Black an easy "hack attack" on the kingside with ...Bf5, ...Qd7, ...0-0-0 and pushing the h-pawn, and 5...Nge7 (favoured by Morozevich) is also quite good. Albin Counter-Gambit with ...Nge7 - games and analysis by Michael Goeller in the lines 5.g3 Nge7, 5.a3 Nge7 and 5.Nbd2 Nge7. A Fistful of Novelties- by Tim McGrew. 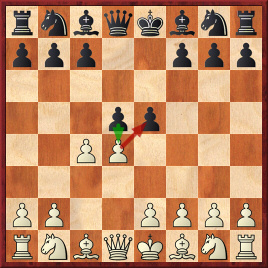 Focuses on the rare 4.Nf3 Nc6 5.Bf4, against which 5...Nge7 is particularly strong as ...Ng6 will hit the bishop on f4. Unfortunately many of the online sources on the Albin appear to be unavailable. Some of my analysis cites and addresses a very good article for ChessBase by Dorian Rogozenco, who made a strong case for 5.Nbd2, but the site is currently down. Andrew Martin wrote a fun article on the "caveman" way to play the "X-Rated" Albin, based on an early ...Bf5, but I can't find it on the internet any longer. Boris Alterman's Gambits Guide- Black Gambits 2, Quality Chess 2012.